I was in the shop last night and noticed small sachets of dried Porcini for sale in the produce section. The price made me both shocked and smug – £3 for 40g? After last weekend’s foraging expedition I have that many times over for absolutely nothing. 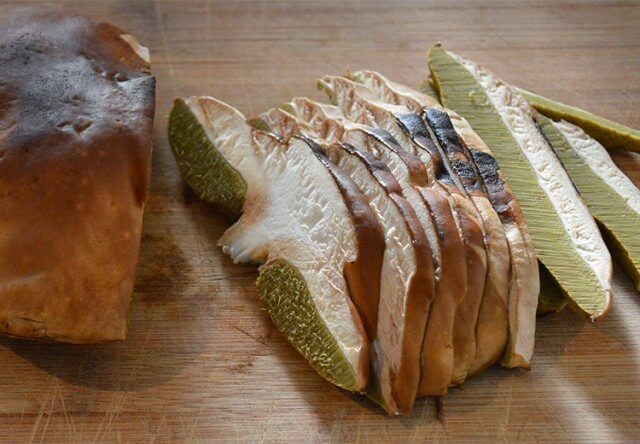 Porcini, latin name Boletus edulis, are prized among wild mushrooms for their flavour. They’re richer and more mushroomy than any conventional shroom and also extremely easy to identify. 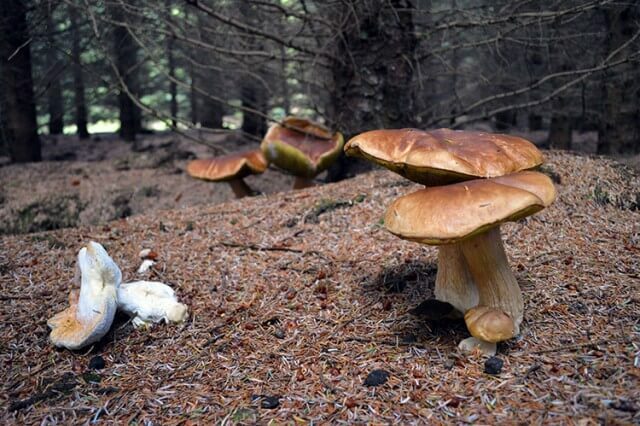 Known also as the Cep or the Pennybun, it has a rich brown skin on its cap, sponge-like underside to the cap, and a sturdy white stem. It can’t really be confused with anything else other than what it is. The main challenges in foraging for this ‘King of Mushrooms’ is that locations where they grow are closely guarded secrets (don’t even ask ;), other foragers (which is why the former is so important), and the fact that more mature specimens are almost always found by pests first. I say pests to not creep anyone out but in fact the little white creatures you find when slicing your mushrooms up is in fact a type of maggot. 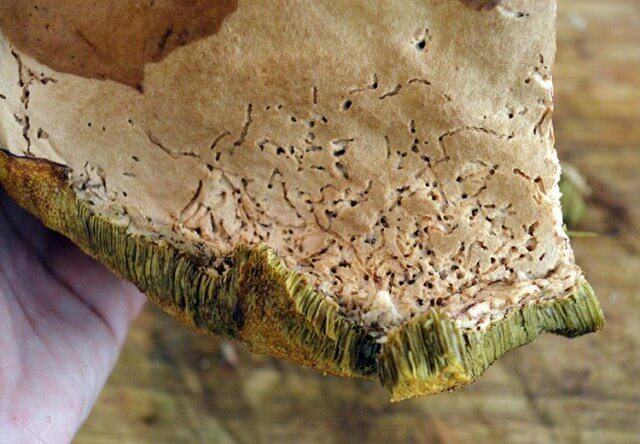 If the mushroom isn’t too riddled with them you can still go ahead and use it – just try to remove any creepy crawlies as you clean and slice it up. Porcini can be harvested very young and at just four to six inches in height. When they’re this fresh out of the ground the flesh is almost completely white and the mushroom can be sliced and pan fried. As the mushroom grows older it also grows mush bigger – we’re talking a foot wide and tall. At this stage the pores on the underside of the cap start elongating and turning green-yellow. It’s still very much edible but is better suited for risottos and pasta dishes since this spore part tends to become a bit slimy. You can find Porcini growing under conifers like spruce, pine, and hemlock, but also under oak. A sign they might be about is spotting mushrooms in the Amanita family such as the iconic red and white Fly Agaric. This is the mushroom you’ll see pictured in children’s books and is often referred to as the most iconic of Toadstools. 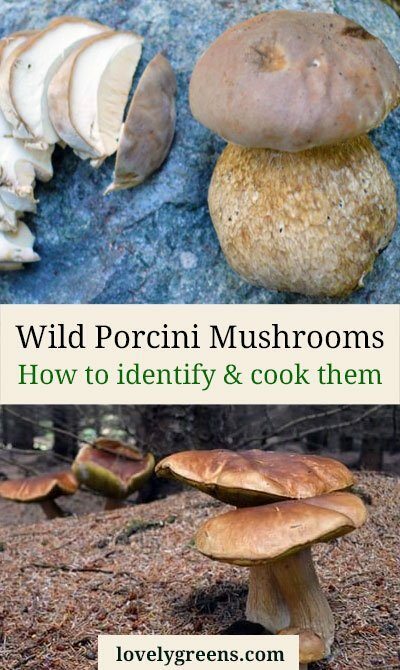 See more about finding Porcini in the wild in this post. 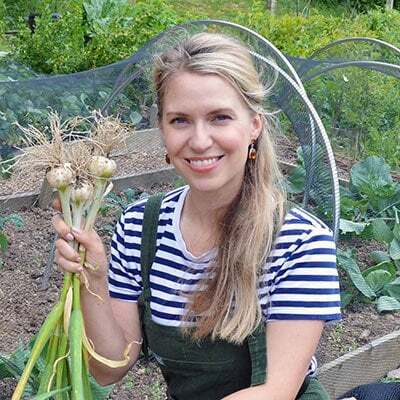 Pick them from late summer to autumn and use both the cap and stem within a day or two or they’ll go off. If you pick a lot of them, as I did last weekend, you’ll want to preserve them quickly and the way I’ve done it the past two seasons is to dry them in a food dehydrator . 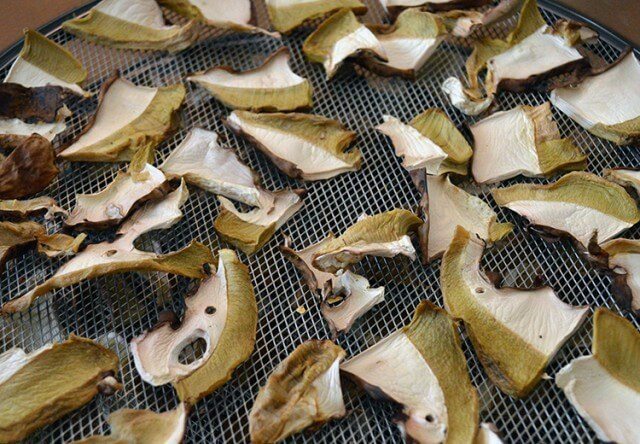 Drying Porcini is easy. 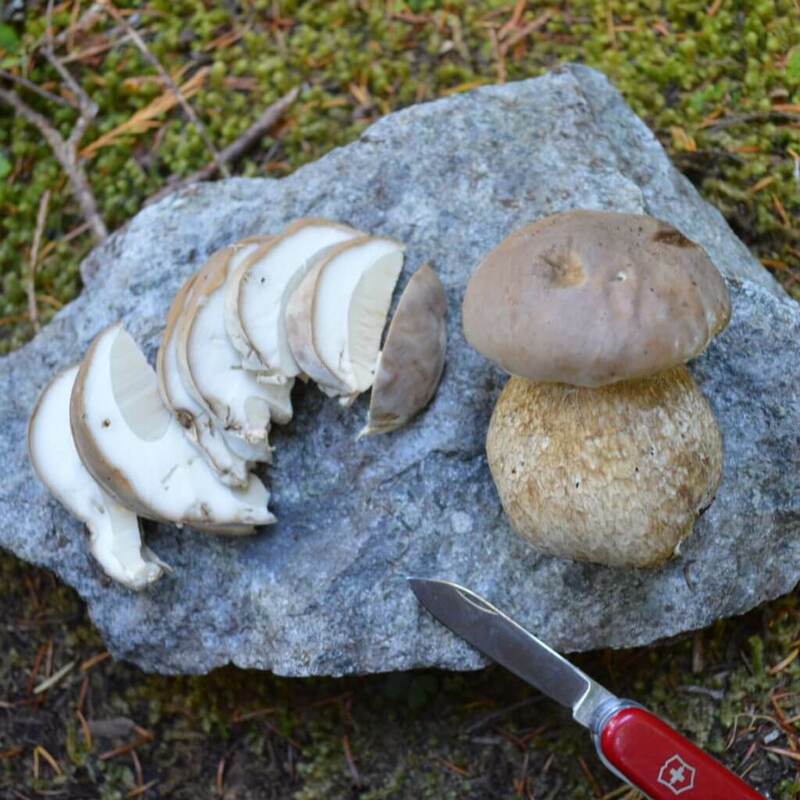 First clean the stem and cap with a damp cloth to remove dirt, debris, pine needles, etc., but don’t immerse the mushroom in water or it may become slimy. The top of the cap will have a brown skin that most people prefer to remove. 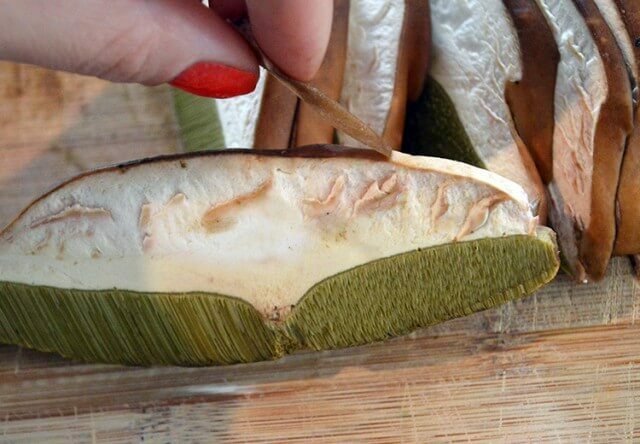 You can do this by peeling it back with your fingers or if that’s difficult, slice the mushroom up and pull the skin off afterwards. The slices should be relatively thin and no more than a quarter inch thick. 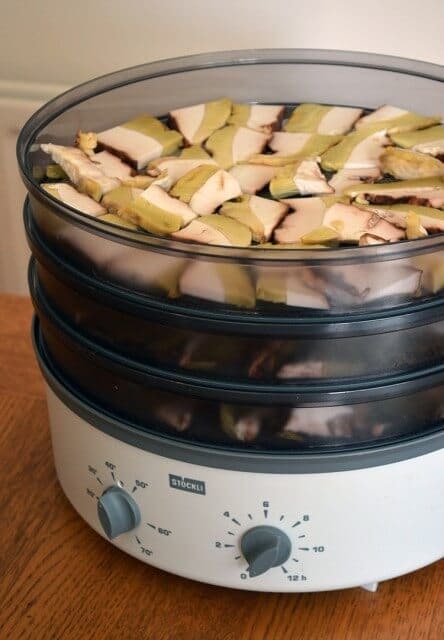 Lay them on the racks inside your food dehydrator and set the heat at 40°C / 110°F for between two to six hours. 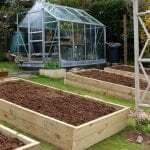 The length of time will depend on how many racks you have in the unit and how thick you’ve sliced the mushrooms. Once dried, the mushrooms can be a little flexible but light and not squishy to the touch. 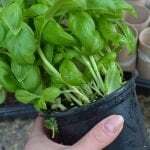 Allow them to cool to room temperature then store them in a sealed container like tupperware or a mason jar. Kept out of the light they’ll last years and can be RE-hydrated by covering them with boiling water. Both the mushrooms and the resulting broth is delicious in risottos, pasta and other savoury dishes. One way to use Porcini pieces that are small or odd, or from the stem is to first dry the mushroom and then pulse it into a powder. Use the powder to make broth, sauces, or flavour homemade dishes like pasta. 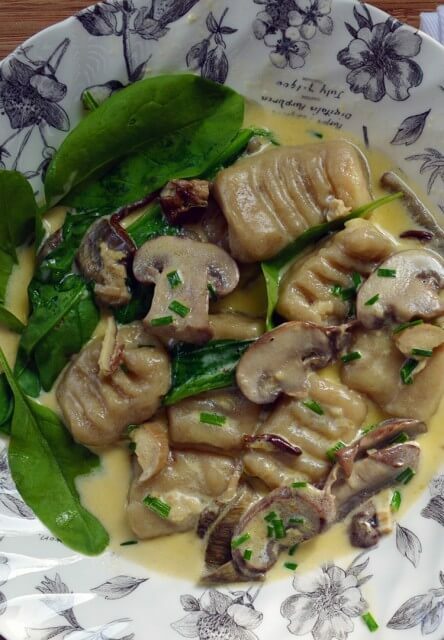 Last year I used Porcini powder to flavour handmade Gnocchi and I have plans to do the same this week for friends. Here’s the recipe if you’d like to try it out too.